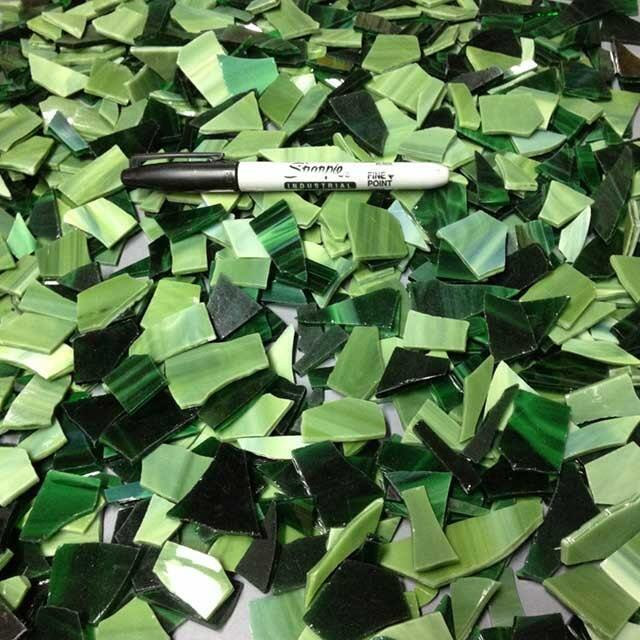 We use a lot of green stained glass in our stepping stone business, and we nip the scrap into irregular shapes and tumble it in a large commercial tumbler until the sharp edges are gone and the glass has a slight satin finish. 1 1/2 pounds of glass will cover 1 square foot with no spaces between the tiles, more area will be covered with normal tile spacing. Exactly as described and perfect for my project - thanks! I used the pieces on a mask. Love the dual sides of the glass.